Root Rescue's 1st(?) 5 minutes of Fame. 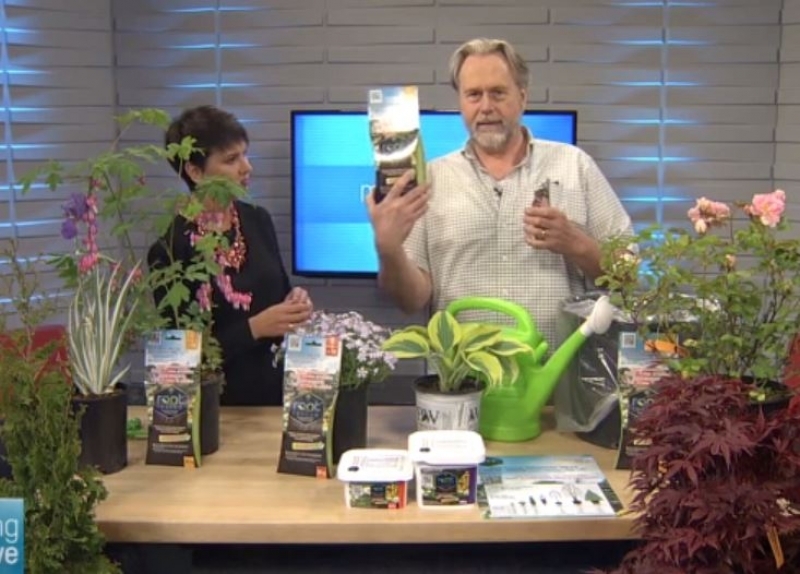 Bob Reeves describes the idea behind Root Rescue's new mycorrhizal plant starter in an interview on Hamilton TV's CH Morning Live Show with Annette Hamm. The quick (5-minute) interview gives me the chance to describe how we developed the product, tested it, and how to use it in the landscape. You can watch the video below. It was close, I almost got everything said that I wanted to say. Annette Hamm was very good - she'd done the research on our product and asked the right questions - my unrehearsed interview responses weren't always on target, and I didn't have the blocking down at all (where to look for the view of what the audience was seeing when my slides rolled etc). A do-over would have been nice - but c'est la vie - 'Iive TV' is live TV. After study a couple of the blog posts on your website now, and I truly like your way of blogging. I bookmarked it to my bookmark website list and will be checking back shortly. Pls check out my site too and I would like to know what you believe.